NintenGen: New Wii Soccer title? No name and no release date but could it be FIFA? Konami might not be done with their Wii announcements after all, but don't quote me on that. 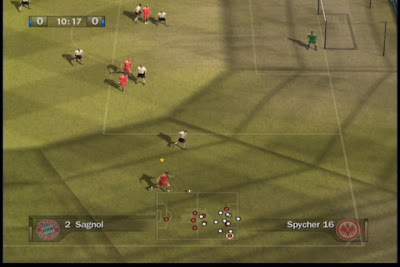 I'm not sure what it is but you'd think some fifa/WE/PES afficionado would recognize the fonts and details. It looks ok. I would like a really footie game on Wii. 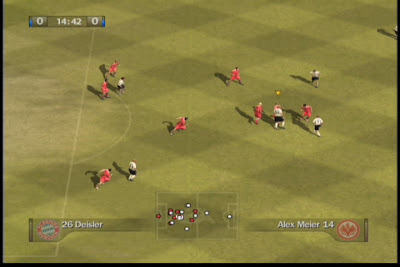 Strikers is fun, but we need PES or Fifa. Really, who knows which soccer game this is. I guess we'll find out more soon. FIFA would be nice. 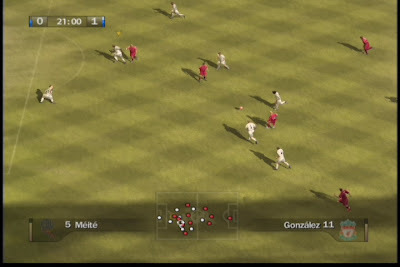 It's obviously Fifa because if you look at the field map at the lower centre of the screen you can see a somewhat transparent "EA" logo in the field, just like it had in the previous fifa games.